In biology, “the circle of life” refers to the natural cycle of life, death and repeat. To American farmers, it means succession planning. Many aren’t very good at it. More than 10 percent of the nation’s 93 million acres of agricultural land is expected to change ownership from 2015-2019, according to the U.S. Department of Agriculture (USDA). Only 25 percent of this will be sold to non-relatives; most will transfer through gifts, wills and trusts. 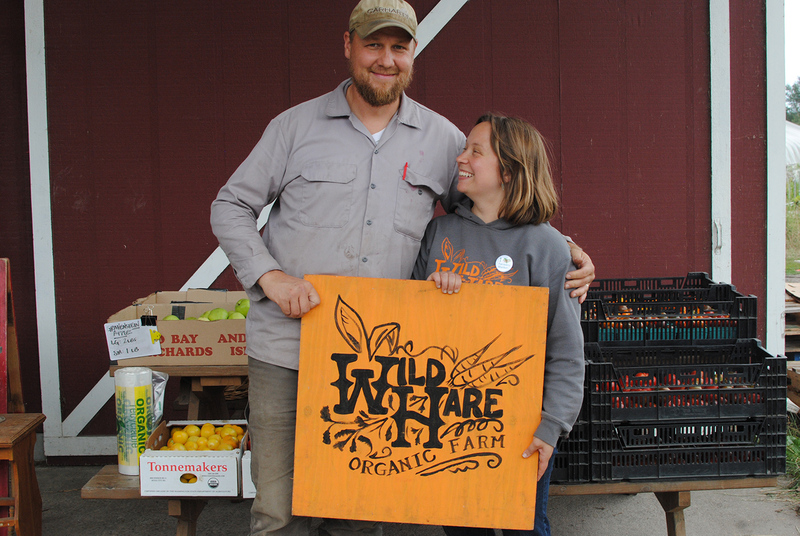 “Two-thirds of Oregon’s farmland is changing hands, but 80 percent of our farmers don’t have a succession plan,” said Nellie McAdams, the farm preservation program director for Rogue Farm Corps in Ashland, Oregon. She helps farmers transfer land and agricultural businesses between generations and works to preserve farmland. That generational hand off can be made easier through succession planning — the formal and legal process through which one transfers the ownership and management of a farm. Often, succession plans include a will, a business management plan, insurance, long-term care directives, cash flow plans and other tools. If it sounds daunting, that’s because it is; many farmers have no roadmap to follow for the increasingly complex legal landscape. It used to be that farmers simply willed their farms to their children, and the land was divided equally. Today, taxes, legal fees and differing opinions among family members are among the factors that can make a resolution stressful. A variety of problems, including family traumas and disagreements, mental health and addiction, differing opinions and apathy, can bedevil families going through succession planning. While unpleasant, these issues must be addressed before business and personal ties to the farm can be sorted out. Usually, each family member has an emotional connection to the land, which can make it difficult to divide the property. Proximity can also be an issue; a family member living across the country — who will never farm the land — may still want an ownership share, which can be problematic for family members who do farm the land. Transitioning can also be emotional and scary for farmers, who must navigate the loss of control over their land and find a successor to carry on the farming business. Today, McAdams is working on state policy and programs to help farmers preserve their land for future generations, get capital to help with succession planning and reduce the value of that land so it’s more affordable for beginning farmers and ranchers. McAdams is personally familiar with what makes these efforts so important. She’s of the third generation on her family’s hazelnut farm. It hasn’t been without its challenges. “It’s what got me into this work,” she said. McAdams’ father is an attorney who specializes in estate planning. When the time came to divide the family farm among him and his sisters, he had to make some hard decisions. His father’s (Nellie’s grandfather) estate was wealthy in land and farm assets, but not in cash. Yet, the grandfather McAdams wanted his estate to be divided equally among his children, which meant that Nellie’s aunts, who weren’t farming, would inherit a lot of capital. This would have put Nellie’s father into debt to them if he wanted ownership of the family farm. Instead, he subdivided a more-distant 80-acre parcel of the McAdams land, which caused it to increase several times in value. Nellie’s aunts received this valuable land, and her father decreased his debt to them. In succession planning, it can be helpful to work with family counselors, business advisors, attorneys, real estate agents and accountants who can provide insights into different opportunities. Many public agencies, extension teams and other groups in higher education also provide resources and support for farmers interested in succession planning. For example, Montana State University Extension offers a free guide, “Transferring Your Farm or Ranch to the Next Generation.” The “Farm Journal Legacy Project Workbook” also is free and walks readers through key stages of succession planning, including leadership transition, retirement and managing estate taxes. For farmers with no family successor in mind, there is an opportunity in passing farm businesses to the farm managers. These could be professional farm managers or even personal contacts with the right experience who are not in line to inherit their own farm. Farmers also need to consider other aspects that may change their actual business. Elder farmers, for example, tend to work less as they get ready for retirement. But this makes the business less profitable and less attractive to the next generation, which may hinder any transition. Instead, farmers can share business books with their successors and encourage them to start making decisions — while understanding that some of those may be mistakes. Mistakes, though, can provide autonomy and allow successors to gain experience and build trust with the farmers. Another option is rebranding. Successors may decide to change the business model or diversify operations in an effort to make the business more financially stable. New revenue streams, like agritourism and updated technology and equipment to increase efficiency, are common choices among farm successors. They can look for weak spots and use their skills to take the business to the next level. For farmers interested in additional opportunities, a conservation plan could be the answer. Conservation allows high-quality farmland to remain in the hands of farmers while ensuring it is protected as a natural resource. 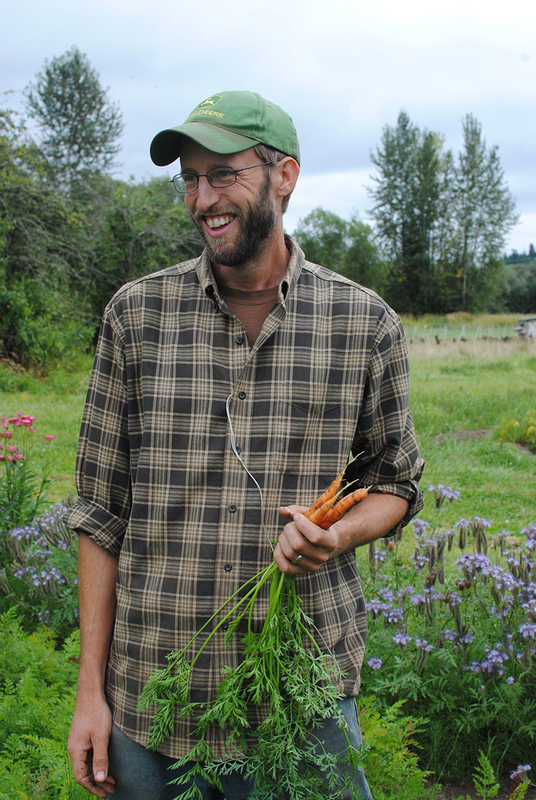 Robin Fay is the conservation manager for PCC Farmland Trust in Seattle, Washington, where he cultivates relationships with farmers, completes conservation transactions and easement purchases and protects valuable farmland. According to Fay, an early jump is especially important with conservation because the process can sometimes take a year or longer. When thinking about selling their land, farmers may have two options: sell to a non-farmer, such as a developer, or sell to a farmer. Non-farmers can typically afford large parcels in a competitive market, but they have no obligation to keep the land in farming. Alternatively, a farmer would keep the land productive and protect its natural resources, but usually cannot afford to pay for land in an ever-expanding market. But there’s another way. 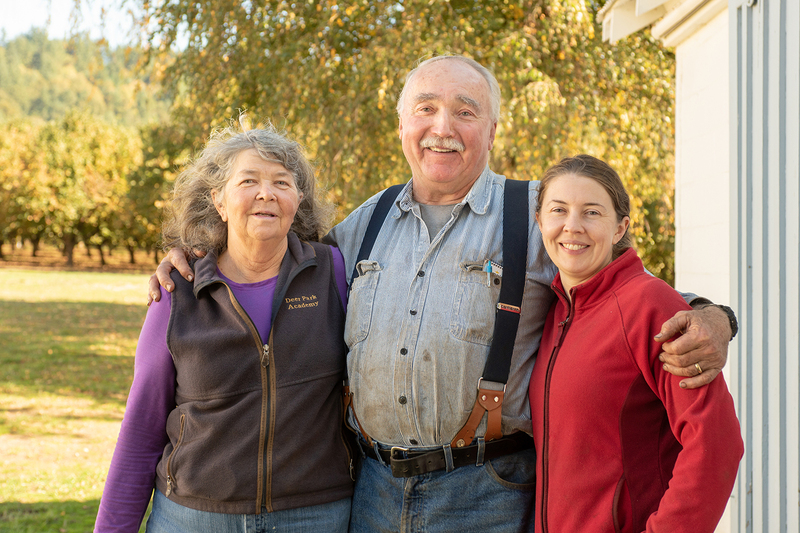 Organizations like PCC Farmland Trust use a tool called a conservation easement, which pays landowners to forego the potential to develop their land. Easements do not limit normal farm activity — they ensure the land remains in farming forever, regardless of who owns it. Conservation easements can have all types of benefits for succession planning. Fay stressed that the trick is getting started early. While conservation planning is not a process to be taken lightly, Fay said the benefits far outweigh the time and effort that it takes to complete the plan. 1. Start planning now and get ahead of the ongoing succession planning process that may include family communication and meetings, business analyses and alterations, tax laws and other important facets of transition that may impact you or your successor. 2. When discussing succession with family members, it’s best to meet in a neutral space, where everyone will feel like an equal participant. Avoid having these key discussions at the farm. 3. Consider including a neutral party to facilitate these meetings and craft a roadmap for your succession plan. This person can take notes, help assign tasks and help ensure all parties follow through. Extension agents and departments of agriculture may be able to recommend business or family counselors to help you. 4. Don’t be afraid to ask basic questions and have honest conversations that will help you discern the wishes of each family member. 5. Connect with your successor and work with a financial advisor who can provide insight regarding the business’s revenue, cost, profitability, viability, strengths and weaknesses. 6. Remember your future; plan to have enough cash in retirement while keeping the business viable for your successor. Emily N. Lenhard, editor for the Michigan State University College of Veterinary Medicine, is currently pursuing a master’s degree in Health and Risk Communication from the Michigan State University College of Communication Arts and Sciences.